Today we want to shine a spotlight on common landscaping techniques and concepts that some people seem to struggle with. For each mistake we cover, we offer a solution you can try. Are you ready to see the top 25 mistakes people make with their landscaping? Okay then, let’s go! Never underestimate the power of your home’s curb appeal. Some homeowners put all of their energy and efforts into the backyard, but no consideration is made in the front yard. Both buyers and first-time visitors to your house get their first impressions from the front yard. There are 3 cheap improvements you can make for a HUGE difference out front. Paint your door in a high contrast color to your home, keep your yard properly edged and trimmed, and plant some colorful flowers in patterns that don’t clash with each other or with your home. Some people make the mistake of not knowing when they have too many decorative items in their yard. This is a distraction from the natural beauty of the landscape. Before setting out yet another lawn ornament you found on-sale at Home Depot, ask yourself “why”? Do you have a plan for this? Does it fit the context and theme of your overall landscape design and plant choices? Try to stick with one choice per section of your landscaping so it acts as a focal point. One properly situated element that fits, is far better than ten items that don’t. Your yard projects tend to produce a pretty good amount of waste, which could be used to fertilize your lawn completely free. Instead of tossing out the twig branches your trees sheds, the grass clippings and edging debris, as well as any leaves that come down in the fall you can make a compost pile to dispose of them in an eco-friendly manner. First, rent a shredder and turn the large stuff into mulch. Next, buy a mulching blade for your mower and return the lawn clippings back to the lawn — they both act as great fertilizers. Another idea is to create a compost pile. Compost containers have gotten more attractive now, and some just disappear into the landscape. Choosing a bad location for your plant placement(s) is another common mistake. People often fail to consider the proper amount of sunshine and direct light exposure for the types of plants they have chosen. Always read and follow the “care instructions” on the tag provided when you buy the plants. If you’re planting trees, the biggest mistake is planting them too close together. Remember to add at least 10 feet to the full grown circumference to get proper spacing. Also, visualize your focal points and patterns — choose trees that will compliment your home’s exterior while still looking good year-round. A sure-fired way to kill an expensive landscaping tree is to plant it too deeply. Some people rationalize that the more soil they heap up around it, the better. But when you do that, you can actually choke the tree and kill it by reducing the amount of air the root system ca get. Planting too deeply can also encourage root rot in other plant species. You can avoid scenarios like this by looking at where the plant’s main stem exits the soil and match that when planting. A “best practice” when planting seedlings is to remove the same amount of soil as the container in which it came. Some homeowners believe that cutting their grass really short means they’ll have to mow it less. That’s actually incorrect, and you can make your lawn have brown spots. And, if you really scalp your lawn, it could result in a bare patch that invites insects and/or weeds. The secret is to cut the lawn at different heights throughout the year. In the summer, your lawn probably needs more shade. You can let the blades grow just a little bit longer in that season because the water won’t evaporate as quickly. In the winter months, cut it shorter so the sunlight can actually get into the soil and warm it. It may sound like common sense to consider the view from inside your home, but a lot of people overlook this potential landscaping disaster. Keep in mind your design can grow to obstruct your view from inside. Place your plant containers where you think you want them, then go inside and look through every major window to visualize what they’ll look like before you plant. When you look out through your windows, they should be framed with beautiful trees and foliage. Planting in a pot that’s too large can be risky. It can more easily shift to one side or sink down in the soil causing it to get improper water supply. On the other hand, if the pots are too small the plants quickly become root-bound. Remember that you’re going to need to re-pot it, eventually. You can easily tell when it’s time because little roots will begin to poke out at the bottom. Use caution when re-potting: Always give a plant plenty of time get adjusted to the new pot before re-potting again. There are two ways you can really screw up fertilizing. The first way is to not do it at all. The other is using to much. Not all fertilizers are the same. You need to ask someone at a nursery or garden center to recommend the correct fertilizer for your yard. It’s a good idea to have your soil tested so you know exactly what to buy depending on what your plant selection was. Just because a plant is pretty doesn’t mean it will fit your design, your climate, or your maintenance objectives. You have to take a lot of things into consideration for your particular backyard. Also consider if you will have filtered light or shade, and what plants work best in those conditions for your geographical area. Check out all plants that would work well in your specific space. If you have a really hot, sunny spot, you might want to choose a succulent. 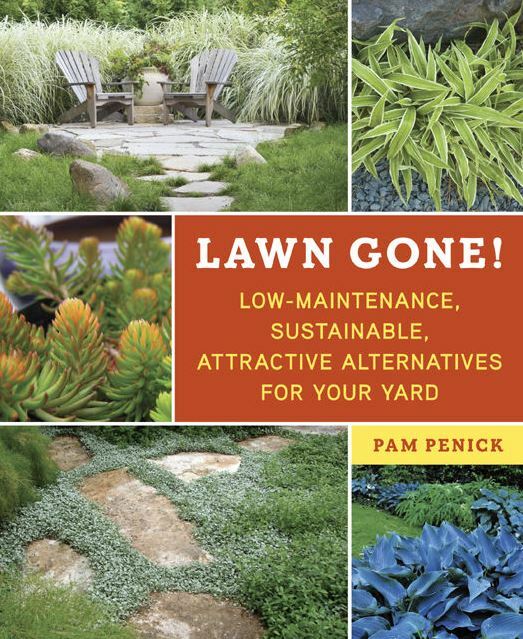 Or, grab a great landscaping book for some fresh ideas to help you figure out what you should plant. You could be attracting all the wrong kinds of friends if planting a buffet rather than a garden. Not taking into consideration the wild animals or garden pests that are known to inhabit your part of the country and what they like to eat is a big mistake. Before deciding what to plant in your garden landscape, think about the pests you’ll attract because of the plant choices you’ve made. For example, the bright colors of some flowering plants can attract deer, so you might want to throw in a few bitter-tasting ones. If you have wild rabbits running around, you may need to defend your garden beds by building a small fence around them. Chicken wire is a less attractive option that works. Being shortsighted about plant growth is a common problem because many people don’t realize the maximum size their plants could achieve. You need to know how tall and wide they can spread, how they reproduce, and what type of monthly and yearly maintenance they will require. Read the instructions on the plant tags, or ask an expert at your local garden center. You can try to look up the information online as well to find out how big and how fast your plant species can grow under normal conditions. Pruning can be as much an art form as a technique, but when pruning is done improperly you can do more harm than good. In fact, with some plants it’s better not to prune them at all than to do it wrong. 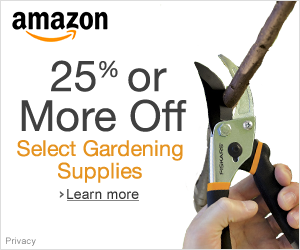 Every plant has different pruning requirements. The best times to prune most plants is in the fall and winter, but research each plant species in your landscaping to make sure you don’t kill anything. Adding too many colors without a sense of harmony can make your landscaping look like a crayon box of distractions. Before purchasing anything from a nursery, decide on what color palette you want and which colors work best together. You want to compliment the color of your house, so choose colors that go well together and really make it pop. Don’t go overboard though! Keep it mildly “monochromatic” for the most part because too much color can almost be a distraction. Grouped plant repetition along with some color harmony goes a long way. Many homeowners make the mistake of not installing a sprinkler system when they landscape their property. This produces the need to manually water your plants and adds a level of inconvenience and often leads to over-watering. Most lawns only need around an inch of a water per week unless in a drought season. The correct time of day to water the lawn is early morning so it has all day to dry. If an underground sprinkler system isn’t an option, you can buy sprinklers with automatic timers to help reduce water waste. Watering in the evening should be avoided as it can produce mold growth! Using the wrong tool for any job can be inefficient, dangerous, ineffective, expensive and maybe even embarrassing. Consider the size of the job and let that dictate the size of the tool you use. Keep your tools organized and clean. For specialty jobs, we recommend renting your tools, and not just power equipment. Even expensive hand tools can be rented. You may never need that tool again and buying it is cost prohibitive, but you need it; renting is the answer. A lot of folks can get carried away with the theme for their yards. They don’t think long-term about how they will really use the space — they are only concerned with how they want it to look. For example, a rock garden can be very attractive, but probably not the best idea for a family with small children and large windows. Sit down and make a list of events you can see being lived out in your backyard, then make sure you have everything you need in place to make those potential memories a reality. We’ve all been there. You’re out to pick up a few things you forgot for your lanscaping project, when you see the perfect gizmodo that you just have to have, so you buy it without a real plan for it. Resolve to get only what is on the list when headed out to grab plants at the garden center. Most garden centers have very strict rules about returning unused or unwanted plants. It’s especially hard to return flowers, so this step is critical. A lack of variety in your garden can invite insects, disease, and leech one kind of nutrient out of the soil. Co-mingle various plant shapes and sizes to create visual interest and invite the right kind of insects. Certain plants use up certain nutrients. If you plant just one type of plant, they could deplete those nutrients from the soil. Starting a landscaping project without a plan or without anyone who has any kind of skills or experience at landscaping. Deciding on a specific theme or “stone look”, then draw it out on paper for future reference. Decide of the location of your plants, shrubs, and trees in relation to your house. Look for ways to bring the inside out so that when it’s finished, you have a harmonious design. Don’t forget your budget, and when you arrive at the nursery, stick to it. If you follow a plan, you (and your landscaping) will reap the rewards. Even if you have previously done your own lawn work, keeping your landscape looking optimally takes finesse and the correct tools to make fast work of it. You planted in the spring and the garden centers were full of spring time plants for landscaping, but now winter has arrived and your home looks brown, dead, and depressing! 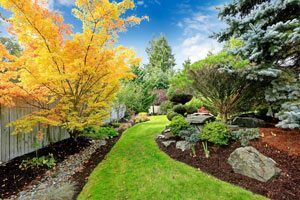 Plan out your landscaping with regard to the seasons. Often when homeowners go to a nursery, they to buy what’s in season at the time. Certain species of flowers bloom at different times of the year. If you’ve got a lot of flowers blooming in the spring, you need to plan for the fall season. Select plants that look good in the winter as well as the spring, if possible. You should brace yourself for sticker shock in the world of landscaping. People often mistakenly think “it’s just a couple of plants, how expensive could it be?”. Landscaping has been calculated to cost (on average) 30 percent more than any other type of home improvement project. Another underestimated cost in the budget, and one of the biggest overall costs, is labor. Landscaping always costs more than homeowners expect, and nothing costs more than people’s time. 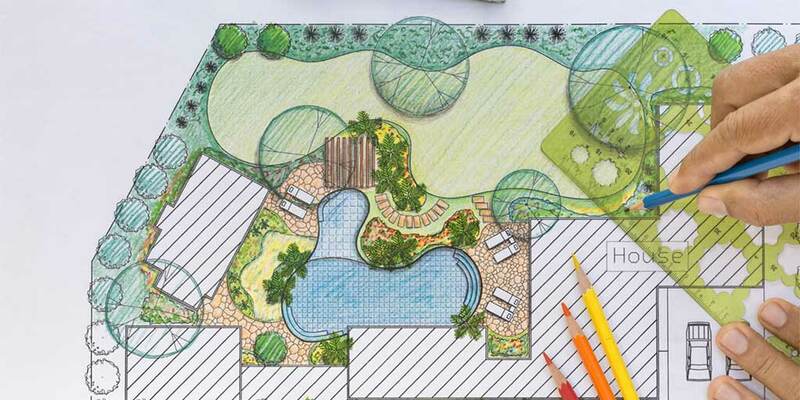 When you’re first starting your landscape project, make sure you have planned and prepared enough in your budget. You want the job done right the first time you do it. Do-overs in landscaping projects are never cheap. One of the biggest mistakes made when planning out their yard and their landscape design, is only picturing how it will look in the daytime. Adding some ambiance through exterior lighting not only helps with vision and movement at night, but it also really makes all your hard work in the garden pop. It doesn’t have to be expensive or require a lot of work. There are a ton of quality solar light designs that can be easily stuck in the ground. The sun charges them up all day, and at night they give off a soft glow without increasing your electric bill. Some people mean well, but their sense of layout design and color matching just isn’t working for them. Don’t get in over your head and end up wasting materials and plants by needing to rip out last years work and do it all over again. Instead, hire landscaping design experts with extensive experience. In the end you’ll wind up saving a fortune, while accomplishing your goals in a fraction of the time and enjoying a professionally designed entertainment area that’s easy to take care of.